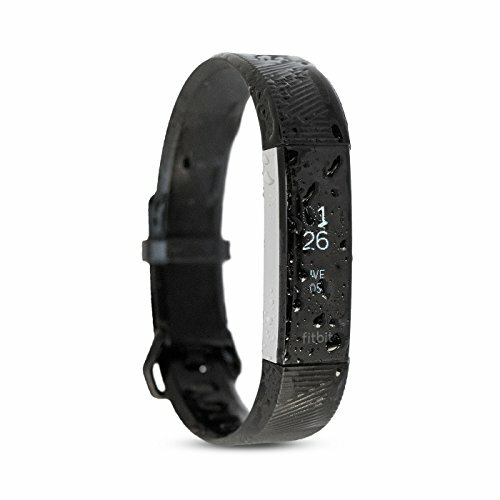 You can now submerge your Fitbit Alta HR down to 30 feet underwater. Enhanced with our long lasting PlatinumX Waterproofing Technology your adventures have no bounds. Go aquatic or dry land, it's ready to be fully immersed into your active life. Fitbit has created "the world's slimmest wristband with continuous heart rate" and the Alta HR has brain to match the elegant brawn. Sleek lines, a slim body, and easily interchangeable bands means the Waterproofed Alta HR is always perfectly matched to your activity and style. It's what you have been waiting for! The Alta HR now has PurePulse® Heart Rate that tracks continuously throughout the day and night. Get a more accurate measure of your workout effort and calorie burn, get greater insight into your health, and reach your goals. Personalize your goals and see detailed stats about your daily habits and progress on the Fitbit App. Log meals, compare workouts, route runs, and connect with Fitbit wearing friends. COMPLETELY WATERPROOF down to 30 feet underwater (IPX8 compliant), safe to take swimming, surfing, snorkeling; anywhere your active life takes you. RECEIVE NOTIFICATIONS whenever you get a call, text, or have something scheduled on your calendar.